Sarnia, Ontario, November 24, 2011 --- A new range of insulated outdoor enclosures from field equipment protection specialist Intertec significantly extends users' choice of environmental protection solutions. The company's Multibox Vario enclosures are produced using an advanced patented CNC manufacturing process, capable of accommodating a wide variety of custom sized enclosures. This means that instead of having to select a standard size of enclosure, or commission a special hand-built model, instrumentation and control engineers are now free to specify the precise dimensions they need for their particular application. The advantages of this approach are considerable for field-based equipment operators in sectors such as oil, gas, chemical and petrochemical processing, power generation and transportation infrastructure. By optimizing the size and form factor of the enclosure to precisely match the instrumentation content and layout, engineers can minimize its surface area and thereby secure optimum thermal performance. Until now, due to lack of form factor options, they have often been forced to use an unnecessarily large standard enclosure or even a cabinet, leading to wasted space and excessive energy use for heating or cooling. 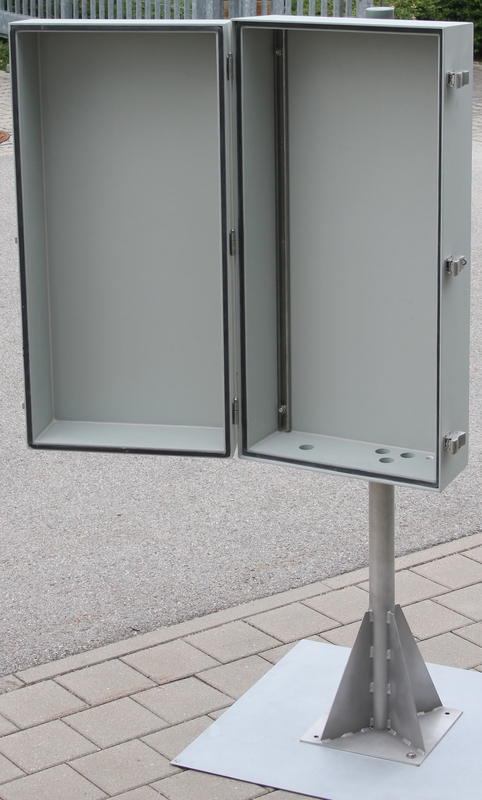 Intertec's Multibox Vario enclosures can be specified to millimeter accuracy and cover an extremely wide range of potential sizes. These span dimensions from about 100 x 100 x 100 mm with 20 mm thick walls, through to models that are 2000 mm high, 1200 mm wide and 800 mm deep, with a wall thickness of 102 mm. This flexibility simplifies containment of awkwardly shaped components, such as process valves or analyzer equipment. It also allows the enclosures to be fitted in locations where there may not be enough space for standard sized units, contributing to ease of installation and maintenance access. To help instrumentation engineers accelerate their design process, Intertec has developed a web-based configurator specifically for Multibox Vario enclosures. Backed by Autodesk Inventor 3D mechanical design software on Intertec's CAD server, the configurator is free to use and does not cause any software to be downloaded to the user's computer. It merely requires that the user has access to Intertec's website, via a standard web browser. After inputting the required enclosure dimensions, users are emailed a fully-dimensioned PDF schematic completely automatically, together with a STEP file and a DXF file for direct import into their 3D or 2D CAD system. They are then able to progress their design, optimizing internal layout to make best use of available space. 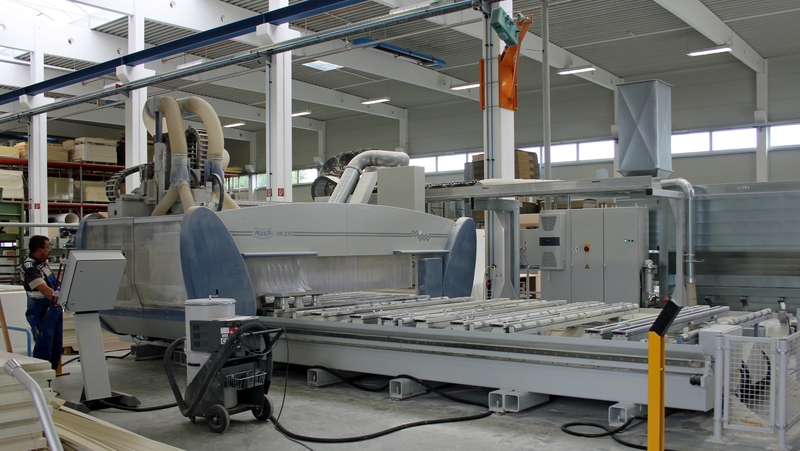 The same data is subsequently used by Intertec to control the CNC manufacturing process, with production samples available within very short timescales. All Multibox Vario enclosures employ an energy efficient sandwich type construction, based on UV-resistant GRP (glass-fibre reinforced plastic) skins and an internal core of highly insulative foam. The internal and external GRP skins are 4 mm thick to provide a very high degree of rigidity. Depending on the particular model, the overall wall thickness with its insulation core is 20 mm, 55 mm, 85 mm or 102 mm. This type of construction has an exceptionally low heat transfer coefficient, or 'k' value, of just 1.2, 0.43, 0.27 or 0.2 W/m²K respectively (corresponding to insulation, or R values, of 4.3, 13, 21 or 28 h ft² ˚F/Btu), which helps minimize heat loss or gain and thereby reduces the amount of energy required for heating or cooling. The enclosures are far more thermally efficient than types constructed from sheet metal with added insulation. Multibox Vario enclosures are based on a two-part design with external hinges and clasps; the female half incorporates neoprene edge seals, which are compressed when the male half is clamped shut. The enclosures have an ingress protection rating of IP65 as standard, with IEC 60079 compliant versions available for use in hazardous atmospheres. Instrumentation is usually mounted on C-rails, although lightweight equipment can be secured direct to the internal walls, with tubes and electrical connections brought in via the bottom edge. The enclosures feature a wide range of options, including clasps, hinges and prop-stays in galvanized and stainless steel, acrylic and safety glass viewing windows, and free-standing and wall-mounting brackets. Compared to most cabinets, which necessarily incorporate features such as metal door frames that act as thermal short cuts between the interior and exterior, Multibox Vario enclosures provide a much more efficient and stable thermal environment, making it easier to maintain equipment at the correct temperature. The design avoids heat short cuts by using GRP as a construction material - this has a thermal conductivity which is 250 times lower than steel and 1000 times lower than aluminum. All access holes for tubes and cables can be plugged with hard foam molding accessories from Intertec. An advanced CNC machining center is integral to Intertec's patented manufacturing process for its latest build-to-order enclosures.